With Diwali just around the corner, many of us are wondering what to wear on this grand festival. Needless to say, Diwali and ethnic fashion trends go hand in hand, and Diwali is just a platform to flaunt your fashionable ethnic wear. The perfect ethnic fashion trends follow an easy rule, keeping it simple and comfortable. 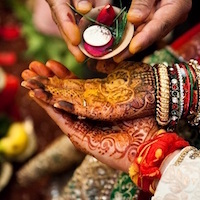 Ethnic wear just naturally enhances one’s beauty and needs minimal make-up or accessories. 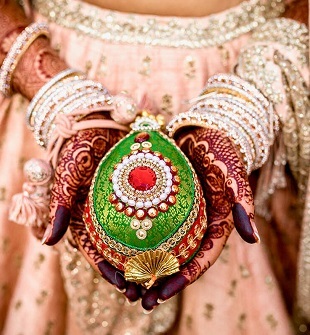 Love ethnic, but feel that you cannot pull it off? Are you more comfortable in western wear? If yes, then we have the perfect solution for you to go ethnic! With fusion being one of the latest ethnic fashion trends, one can have the comfort and style that is the best of both worlds. The confluence of West and East gives a trendy outfit. Bold ethnic wear in metallic colours are pretty much in fashion right now. Perfect to add the oomph factor, one can play around with various colourful options and mix and match a complete attire through it. It will give a quirky and a funky look to the normally bold and plain ethnic wear. Pair a metallic kurta with a solid Patiala and you will have heads turning. The chequered saree has been doing the rounds since the beginning of the year. With many B-town celebrities draping the whole nine yards in multiple ways, sarees have made a comeback and how! The humble chequered saree will be perfect for having a simple yet gorgeous look. The bohemian and hippie look is back and has crept into Indian ethnic wear as well. With boho capes, skirts, kurtas and even jackets, the trend is picking up especially amongst the youth. With vibrant colours and funky patterns, ethnic clothes are getting a new and flashy makeover. No matter what, Western wear or Traditional Ethnic Garb, Cold Shoulders are creating a niche for themselves in all departments. The latest ethnic fashion trends include the classic cold shoulder, or cut shoulder, as they are known otherwise. For those who feel that baring the shoulders is too bold, they can pair their ensemble with a traditional dupatta or a shawl. Is it a Lehenga? Is it a Saree? It is both! 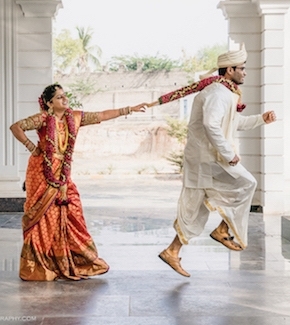 Having the convenience of slipping on a lehenga with the look of a beautifully draped saree, this is a win-win situation that cannot go wrong. No fuss about messing up the pleats or draping the saree a particular way, you will leave people wondering about your saree draping skills. 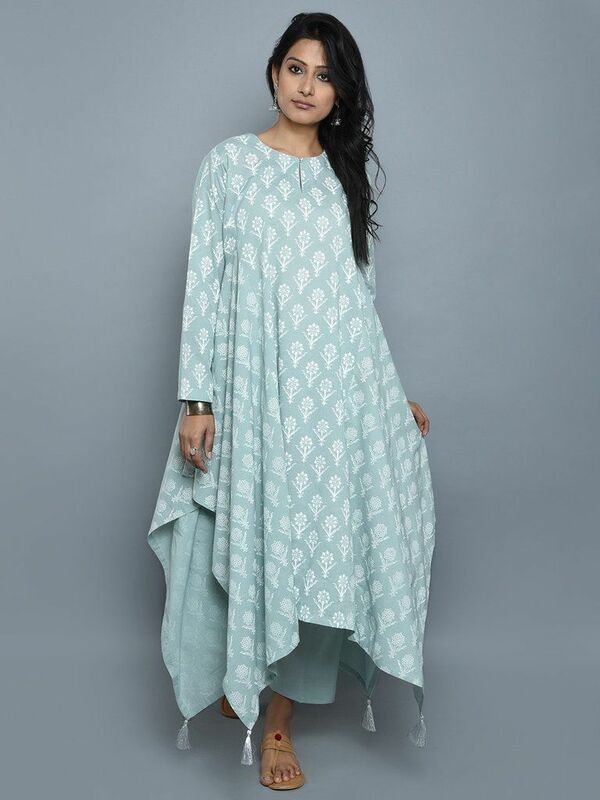 Asymmetric hemlines look gorgeous on long kurtas. The asymmetric look gives an illusion of looking taller too. It adds a touch of class to any plain looking kurta. Wear it with a Patiala, Legging, or even Palazzo, and this combination will still look like a million bucks. 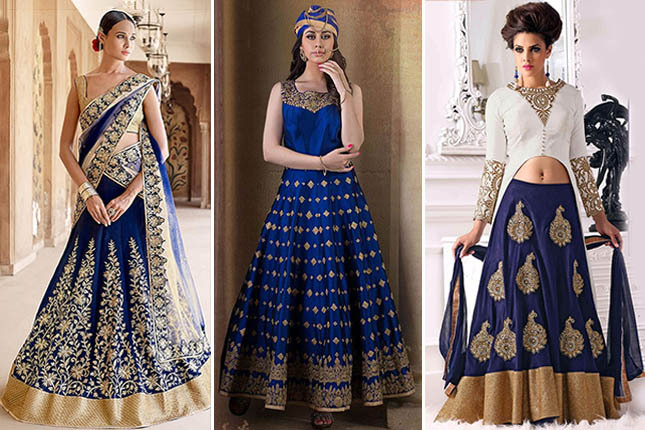 A little-known fact is that asymmetric lehenga has also made a mark in the world of couture. For a fashionable and royal looking appearance, settle for high necks and collars. Standing collars look absolutely adorable and complement your features if you have a long neck. When accompanied with long sleeves, it is a royal flush! Everything about it is so stately that you will start feeling like the aristocracy. Perfect for any casual or formal occasions even after the festivities are over. Extended slits give a modern look to traditional wear. Slits are not the newest ethnic fashion trends but have been there for a while, making it a reliable fashion trend. It gives a brazen and majestic look to the otherwise humble ethnic dress. For a perfect fusion wear, team a kurta with slits and trouser pants for an edgy presentation. 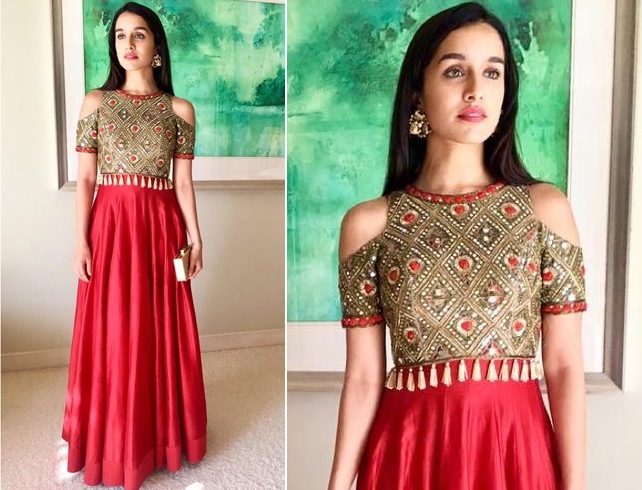 So go ahead and flaunt the latest ethnic fashion trends of this Diwali!